Donkey Hire - Donkey Derby - Donkey Rides - Donkey Drives - Donkeys For Sale! We have donkeys available for ridden and driven derby's, rides or appearances. For corporate or private functions, beach parties/promotions, store/centre openings, children's parties, fetes, carnivals, fun days, school visits etc. Our donkeys are also available for theatre, film and TV work and are fully insured for public liability. Any distance, and event - advanced bookings taken. (All donkeys at any event are supervised by our own staff). We always have donkeys for sale, including a selection of young home bred donkeys, as well as equipment, tack and donkey carriages. If you don't see what you are looking for after visiting our link below, give us a ring - we may well have what you are after. All enquiries or suggestions are welcome and we would be pleased to offer expert advise. Donkeys are great fund raisers, or as an attraction at your event. 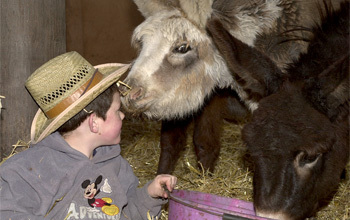 You can choose how you want to hire the donkeys... (Our staff supervise all events). Adults don't have to miss out on the fun! They can drive donkeys.... supervised by our own staff. 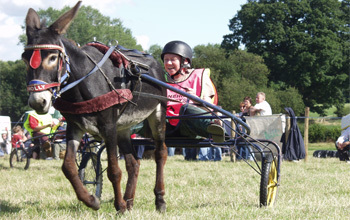 Donkey derby's are fantastic fundraisers. Collect all your monies in before your function - you cannot loose if properly organised. They also make an ideal fun filled main ring attraction...and are supervised by our own staff. Copyright Stonehill Donkeys. All Rights Reserved. Designed by Shropshire Web Design.